Sam – Around August of 1983 I released the first cassette on Projekt. Why? Because there were cool bands I was writing about in my fanzine, Alternative Rhythms, & I wanted people to hear them. So I put out a compilation. Sam – I worked at Wendy’s. It cost nothing to release a cassette, since I dubbed them at home & made the covers at the local copy place. Sam – By the time this is online, Projekt will be up to 253…. I am designing releases 255-256-257-258 right now. Sam – It seems that I’m doing between 15 & 20. Sam – I work less than 40 hours a week. I’d like to work about 20, & work the other 20 on my own music, but it doesn’t turn out that way. Sam – I really like designing album covers & seeing them go from ideas to reality. I actually really like paying royalties, because I feel like I am shrinking my to-do-list & I like giving my artists the money they deserve. I also really like boxing up CDs. Cutting special-size shipping boxes. I think that most everything is fun, except for the really dull accounting stuff, like doing taxes. Sam – Chasing distributors to get paid. But I have gotten rid of the ones who don’t pay, so I don’t have much of that problem anymore. Sam – Ah, so few labels left. Most of the ones I was friends with are gone. I am friends with Charles at Soleilmoon. Sam – None. I made it all up as I went along. Sam – I pay all my artists. Sam – Our current space has a 600 square foot office & about 1500 square feet of storage. I definitely feel more comfortable here than in the 600 square foot basement of my old house. The space has mentally allowed me to release more music. Sam – I don’t listen to much music, outside of work. Right now I am streaming soma.fm - but honestly, 85% of what I play at home is Steve Roach. Unless my son is around, when it’s Kraftwerk, Bowie, Devo, etc. In the car on the way back from the laundromat, I was playing The Rolling Stones’ Sticky Fingers. Sam – When I see a demo, I scream, “Shea, how did THIS get in here!?!? !” & then we both run around like our pants are on fire. : P I usually only sign new bands that are recommended to me. The hit to miss ratio is really bad on demos that come in the mail. Sam – Hey, I just answered that. Are you listening? Knock. Knock. There’s a great new French band - Every Silver Lining Has A Cloud - that I am releasing in the spring. They were recommended to me by Doru, a concert promoter in Romania. Sam – I don’t really know, anymore. Sam – The biggest non-compilation release was Black Tape For A Blue Girl’s 1996 album Remnants of a Deeper Purity. Why? Right time, right place. Musically, it is pretty modern minimalism/neoclassical. But “the goth crowd” bought it. Sam – “Sam, who is your favorite of your children?” Isn’t that question patently unanswerable, without offending somebody? Sam – I like their music & they are realistic about what they expect from a release on Projekt. If a band tells me their demo sold 5000 copies, I know that I should not release them. Sam – When they are douches (laughs). I don’t “have to” work with a band, so if they give me too much trouble, they are free to peruse their own path. Sam – The back cover has the Projekt logo on it. Sam – I seldom do that. There are a few bands who have asked my advice on track order, etc. In the early 2000s, when CDs sold well enough, I’d go in & master them, usually with my guy Al at Studio Chicago in Chicago. But these days, most bands self-master, or there’s no mastering. I still work with Al on Black Tape For A Blue Girl albums, because he does a fantastic job & it’s my band, so I’ll spend the money. Sam – I am very involved, because that’s one of the things I really enjoy doing. I’ve designed about 85% of the covers on Projekt. The band has the photos & ideas & then I work with them. I think this gives them a quality cover, but doesn’t make them all look generic. That’s one thing I work on with Steve Roach… to keep his covers fresh & different from each other. With 4 albums a year from the same artist, you can’t have them looking like they are cookie cutter covers. Sam – 4 months. Because that’s the timeline at NAIL, our distributor. If it is mailorder only (which is rare) then it is 4 weeks, because that is the timeline of the pressing plant. Sam – Make more music!!! They’re like me, they have day jobs (mine is Projekt). If we were all on a government grant, we’d be making new albums much more often. QRD – What’s a record you‚d like to put out that you’ll never be able to? Sam – Many of the albums in Marc Almond’s career. The new one - Variete - is amazing! Sam – Put out their album, with low expectations, & see what happens…. I absolutely love Disciple from Mark Seelig. It is not a traditional Projekt album, in some ways, because it has an Indian/spiritual/meditative side. But I put it out because it’s one that I listen to a lot on my own. Sam – I pay for it all. Sam – I pay a royalty for every unit sold. For Digital, I split the money 50/50. Sam – Written contracts. It’s the best way to stay friends. Sam – Not really. I publish some bands through my company, Seireenien Music BMI. In which case, I take a small administration fee. Sam – I think touring can be good for bands. Voltaire is always out playing shows. But most of the bands don’t tour & that’s ok.
Sam – I have never once had a publicist be worth what I paid them. So I do it in house. Sam – Facebook, my elist, see them at shows. Sam – There are three people, but our hours are under 60 hours a week, in total…. Sam – Radio? They play music on the radio? Sam – Magazines? There are no magazines left. Websites? They ask for a promo & I send it to them. Sam – I view advertisement as a good way to throw away my money. Just like my experience with publicists, advertising is a total waste of money. The only ads to ever be effective were back in the mid-80s: 1” boxes in the classified section of Spin & Sassy. Sam – Sell my records to Amazon & the One Stops. About 85% of what they sell are to the top 3 or 4 vendors. Really, the distributor is my collection agency. Now, that said, I really like the people at NAIL. It’s just that chain stores are no longer selling Projekt & there aren’t many indie stores left. Sam – It’s 1000 units, unless it’s Steve Roach, Voltaire or Black Tape For A Blue Girl, then it’s more than 1000. Sam – Between 30 - 60 copies. There really aren’t many places left that are worth a promo. Sam – Some shirts. Some coffee mugs. Sam – Yes. It used to be a much bigger part of the total income at our webstore, but it has been dropping off dramatically in the last couple of years. Sam – I think that any job detracts from having an artistic career. I say that because I was going to say that running a label has detracted from having time to work on my own music. But any job would do that. Sam – We stay in touch by email, but there have been many bands that I never even met in person, such as O Yuki Conjugate…. Sam – I don’t know if I ask them to balance those two things. I’m realistic that most Projekt releases will sell between 500 - 1000 copies. So what difference would it make if I said, “write catchy songs.” I think the only place I really try to give direction is with their album covers. I think it’s not much of a compromise to make a BETTER album cover… but they can always say “No,” & sometimes they do. & then I step back & let them do what they want, because it’s their album. Sam – Ugh. If I thought like a businessman, I’d have changed my line of work a long time ago. Sam – Blink. Blink. Did you just say something? Sam – Stopped advertising. Stopped mailing out printed catalogs. Cut down the number of employees. 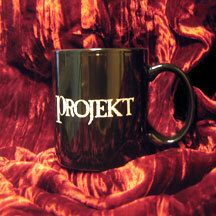 There was a time in the early 00s, when Projekt was $200,000 in debt. But I paid that off & have since ran up a bit of new debt, but nothing dramatic. Sam – Cassettes? Really? I don’t see much interest in vinyl in my genre. Sam – Yes. It seems that physical is the way to get a bit of press & awareness for a release. Digital-only releases don’t create buzz or awareness for Projekt. So they don’t do very well. Sam – I guess there might be a time & place for that? But not for me… because we can sell more than that through our webstore. Sam – A song or two. Sam – (1) Not paying their artists. (2) Charging back the cost of production to their artists. (3) Uploading digital download versions of compilations with tracks from Projekt bands & not paying us for those sales. Sam – My death. Well, even then, Shea knows she has permission to keep it running, as long as Sasha gets a cut of the profits. Sam – Don’t do it. That has been my suggestion, for years. Sam – The best way to make money is licensing to movies, commercials, games, etc. Sam – Don’t know. Word of mouth? Pandora? Soma.fm ? Sam – Well, Projekt will still be releasing music in 20 years, so it will be known for the amazing classic releases… & for whomever the new bands are, at that point in time. Sam – This was far less annoying than I expected. : ) Thanks for asking me, Brian.